Megachurch pastor and author Erwin Raphael McManus deals with one of life's toughest questions, is Jesus the only way, and what about those who have never heard of Him? 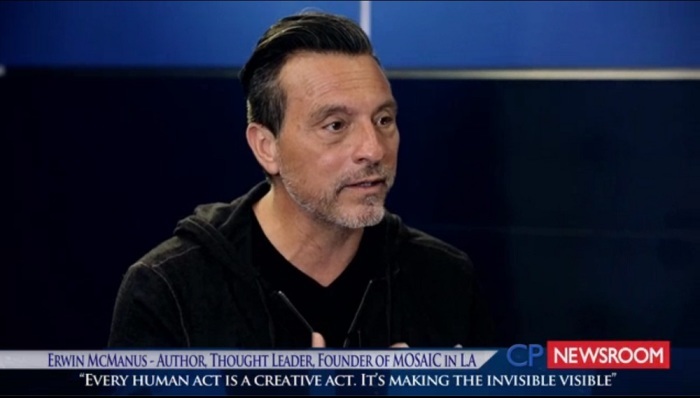 In a re-podcast on the website of Mosaic, the church in Los Angeles, California, where McManus is the pastor, he read out questions sent to him by people from around the U.S. and Australia. At the heart of the questions were two issues. How can we possibly conceive the fact that Jesus is the only way to God when the world is predominantly Hindu, Buddhist or Muslim? And what about those who have never heard of Christ but have lived a moral or just life? 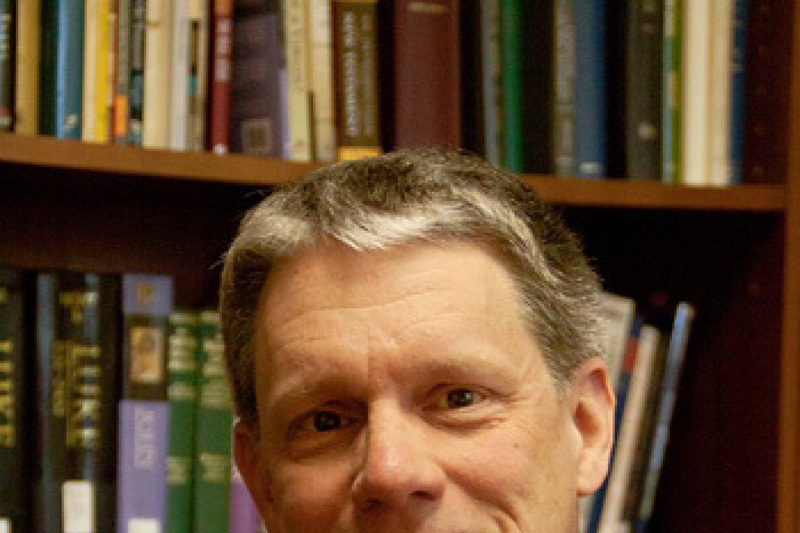 The fundamental question we are asking is whether God cares more than us, McManus told the listeners. If the Bible is true and there is eternity, then God should be concerned about the human condition more than us, as some people think they can't believe in a God who doesn't care for all, the pastor said. "Are all religions the same? Don't you just wish they were? … But all religions are not the same," he added. We don't have the personal need for others to lose, though we want to win, he continued. "But to say that every religion and every philosophy, every belief system is the same, is really to dishonor the significance and value and intelligence of human beings. … We don't all choose the same thing. … We never know what people are going to choose." A "religion" is either legalistic or fatalistic; they believe that God is either aloof or impersonal, the pastor explained. Those who believe that God is aloof come to the conclusion that people need to strive to live up to His standards so that He might accept them. And those who believe that God is impersonal say you have no control over your destiny. The message of Jesus, however, is different than that, McManus underlined. Referring to Genesis chapter 1, the megachurch pastor said God created us with the ability to choose. God's ultimate strategy with our free will was not to bring glory to Himself, he said, explaining that the majority of the people in the world are not glorifying God. Even before God made humans, all creation declared the glory of God, the pastor stressed. The freedom was given so that love could exit, he said, adding that God created humans as objects of love. He then quoted Deuteronomy 30:11-20: "Now what I am commanding you today is not too difficult for you or beyond your reach. It is not up in Heaven, so that you have to ask, 'Who will ascend into Heaven to get it and proclaim it to us so we may obey it?' Nor is it beyond the sea, so that you have to ask, 'Who will cross the sea to get it and proclaim it to us so we may obey it?' No, the word is very near you; it is in your mouth and in your heart so you may obey it. "See, I set before you today life and prosperity, death and destruction. For I command you today to love the Lord your God, to walk in obedience to Him, and to keep his commands, decrees and laws; then you will live and increase, and the Lord your God will bless you in the land you are entering to possess. "But if your heart turns away and you are not obedient, and if you are drawn away to bow down to other gods and worship them, I declare to you this day that you will certainly be destroyed. You will not live long in the land you are crossing the Jordan to enter and possess. "This day I call the heavens and the earth as witnesses against you that I have set before you life and death, blessings and curses. Now choose life, so that you and your children may live and that you may love the Lord your God, listen to his voice, and hold fast to him. For the Lord is your life, and he will give you many years in the land he swore to give to your fathers, Abraham, Isaac and Jacob." When Jesus said in John 14:6, "I am the way and the truth and the life. No one comes to the Father except through me," He meant "no one else cares about you," the pastor explained. What about other paths? "Well, no one else has come for you," he said. We need to choose between legalism and love, and between fatalism and freedom, McManus told the congregation. Instead of asking how Jesus can be the only way, we should be happy that someone loves us enough to sacrifice Himself for us and has given us the freedom to choose Him or not. There is a "religion" called Christianity which is not about love; it's about facts and information, the doctrines and truth, he said. The Kingdom of God is about love, he added. But what about the people who have never heard of Jesus? The Bible says that God speaks with everyone through creation, McManus said, adding that, as Paul said in the NewTestament, there is evidence of God all around us. "He is not far from each one of us," he concluded. Last February, McManus appeared on a CNN program to comment on the debate surrounding the authenticity of the Shroud of Turin, Jesus Christ's purported burial cloth. "What I think? I think no," McManus told the host, revealing that he did not think the shroud was authentic. "But I don't think that necessarily matters," he added. "I think the exploration and the search for who Jesus is, and that 2,000 years later we're still trying to figure out who He was and did He really rise from the dead. ... And I think for me, the answer is 'yes' and that's why we're talking about Him today."